Origin might be loathed by a fair few people still, but its On the House program is just great. We’ve gotten Dead Space, Plants vs Zombies, Battlefield 3 and Peggle for free, and now it’s Wing Commander III’s turn. After he hung up his lightsaber, and between being Gotham’s Clown Prince of Crime, Mark Hamill was a Wing Commander, fightin’ the Kilrathi and being all pensive. The third game in the series that made Chris Roberts a big deal, long before Star Citizen, threw in FMV cutscenes – wonderful, grim and often a bit camp – and a new 3D engine. The engine and FMV haven’t aged spectacularly, but it’s still immensely playable. People can argue until the heat death of the universe over which Wing Commander is the greatest of them all, but for me, it will always be Wing Commander III. 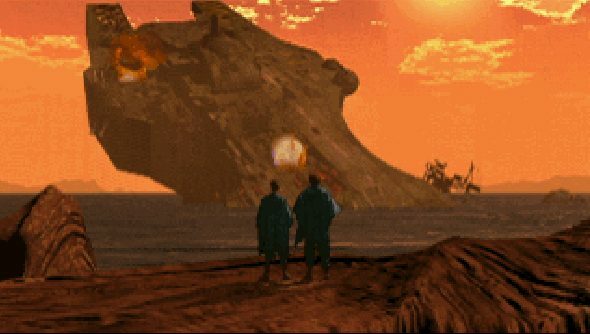 While its polygons look blocky now, and its FMV sequences are ill-defined, it was absurdly ambitious back in the day, and the combat engine was spiffy. And this was all back before proper 3D graphics cards were a thing. On the House deals can fade away into nothingness at any time, so if you do fancy seeing what Chris Roberts and space sims were up to 20 years ago, grab it quickly. Word of warning, though. It doesn’t always play nicely with modern PCs, it seems. I’ve encountered audio stuttering, and the dearth of options is a bit of a pain. But it’s free, so what the hell.